Those looking to download free food and recipe for personal blogging themes and those looking to build a restaurant or hotel will find these free themes useful as a starting point. Basic blogging for your advance needs of a CMS ready theme will be fulfilled by WordPress themes which you find here for food related websites. Start adding your daily recipe formula to the blog and inspire people to cook good food. Health is important in this fast world and cooking blogs will be great for those who like cooking or for someone who is into variety food everyday. Sharing your daily posts will never get easier than this as all themes here are ready for social network sharing. 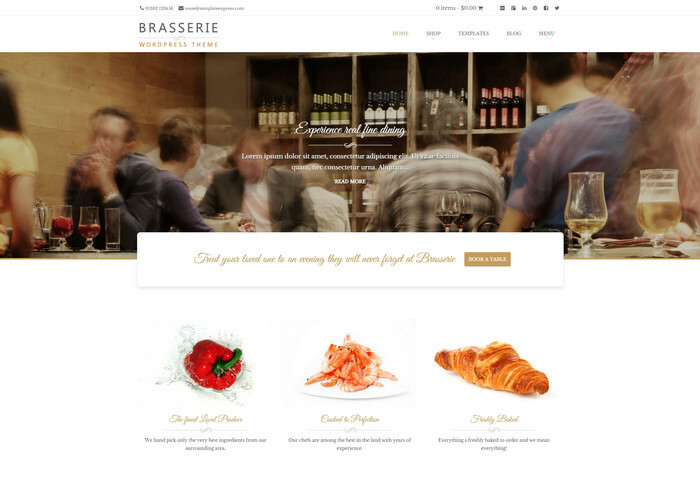 Download these fabulous free themes for food and restaurant which you were searching for long. MH FoodMagazine is a beautiful and flexible child theme for the popular MH Magazine lite WordPress theme. MH FoodMagazine is perfect for vivid and fresh websites about cooking, baking, delicious food, fancy dishes and more. 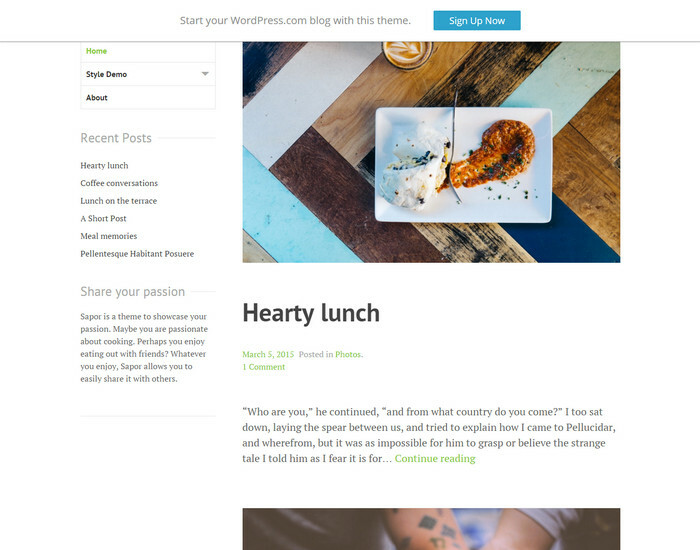 You can use this free WordPress template to create a professional food blog and present latest and popular recipes to your community. 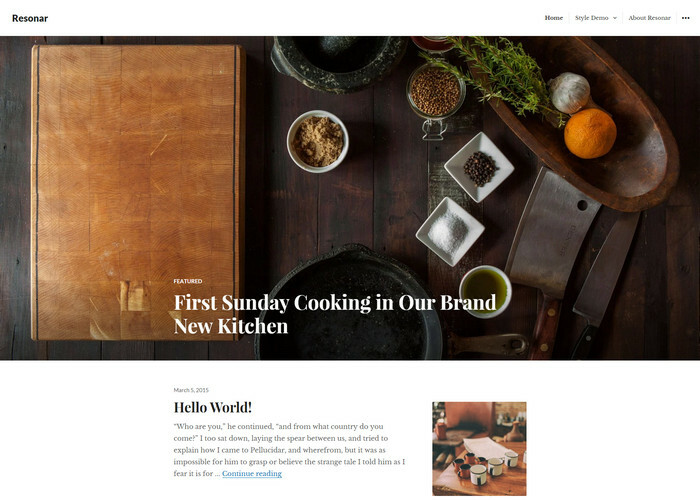 This nice free magazine WordPress theme includes several custom widgets to display articles about your cooking and baking sessions in a prominent and appealing way. Thanks to the attractive, light-weight flat design, MH FoodMagazine is ideal for modern, vivid and up-to-date editorial websites like dynamic online magazines or stylish news websites. Dyad is a modern theme designed by automatic where you get the option to list your latest food recipes in style to your foodie fans. With responsive design and support of featured posts this theme will be your friendly companion for a while, that i’m totally sure. Start making those amazing recipes and let us know what kind of website you have. 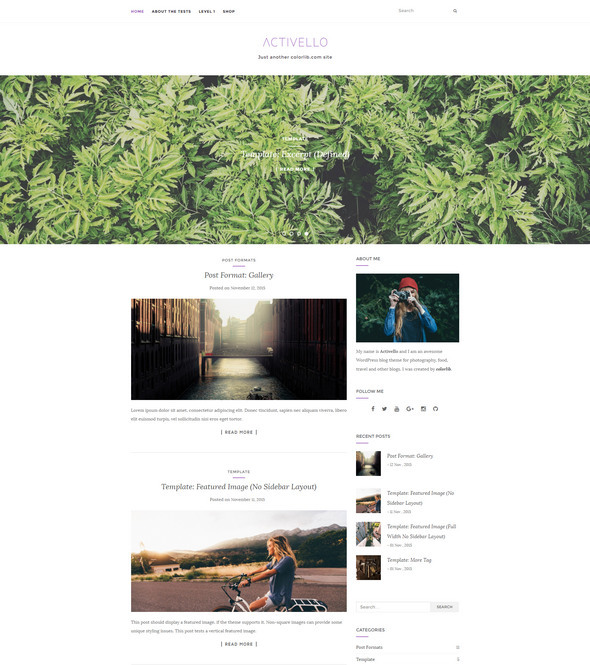 A blog can do wonders for your business either its small or big and Activello is an elegant blog theme released by colorlib for just that purpsoe. 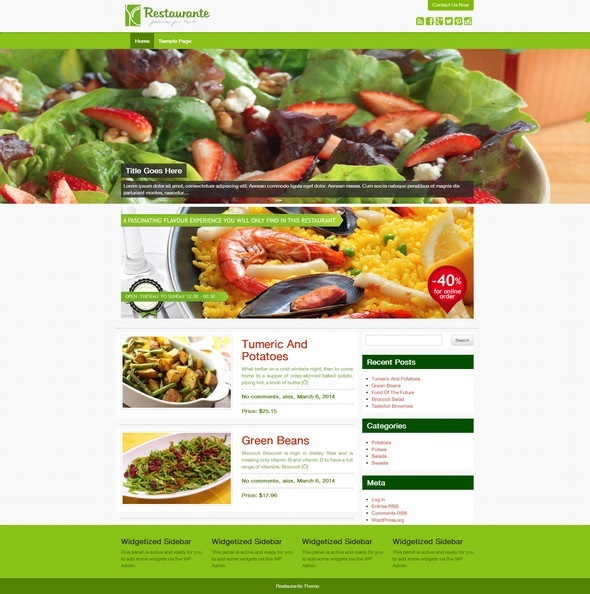 Making a recipe food blog can be fun and feature rich with this responsive food theme we introduce today. 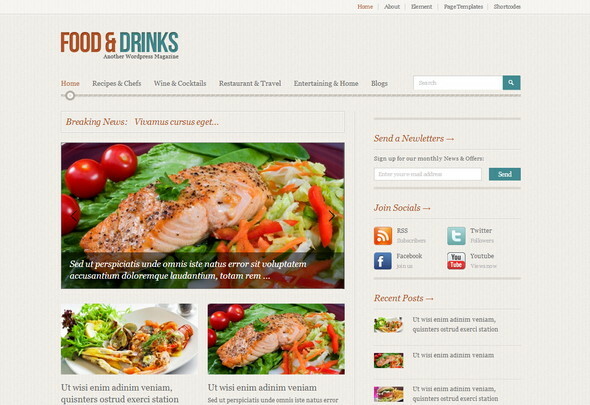 A brilliant startup theme for websites who like to list food recipes, reviews and need a better experience in blogging. The theme will be more than enough for personal blogging material with unique fullscreen image support for posts. Make the website look crisper in every way with this responsive theme of WordPress. The typography looks good with great readability. Make a post sticky and it will showoff the fullscreen wide display automatically on your homepage. Seasonal is fully responsive and provides theme options to control every aspect of the page element you wish for in a couple of clicks. 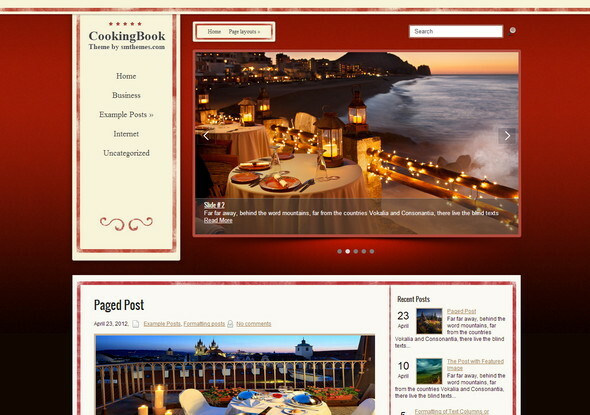 Modify the theme colors, fonts, background, sidebars to build your recipe blog website using this powerful theme. 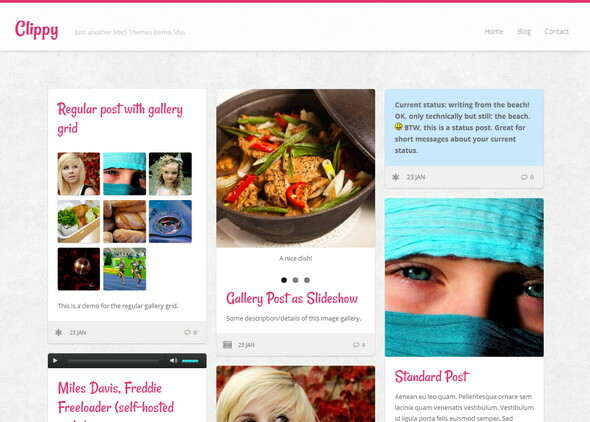 Some of the key features of the theme include two blog styles, multiple sidebar positions etc. Sapor is a latest WordPress theme designed for all types of websites like food, restaurant, magazine blog, health etc. This theme has different features like responsive Design, customizer option which can change the colors and background image, fixed Layout, flexible header to add custom header images and more. 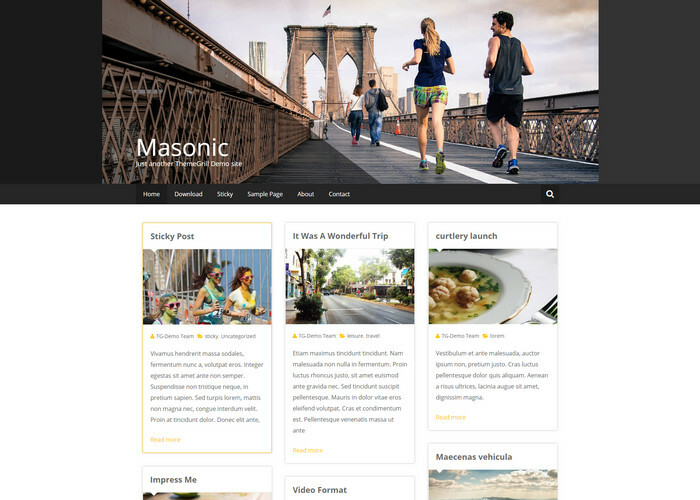 A food blog wordpress theme developed by themegrill this year with a unique masonry style layout. The theme is responsive and has options to change overall color of the website along with features to make a favorite post of yours sticky. If you have not used any themes from templateexpress then this will be first one you will try without asking questions. This lite theme has more than enough features to get you setup a brilliant responsive food website. The image slider and four different homepage layouts will be the ones you will be interested in this theme. The theme has built in woocommerce support if you think of selling any products or recipe secrets to your users. This theme can serve multiple purposes but for now we will see how it serves food lovers and bloggers. Featuring a full width image for homepage and posts, this theme looks visually glorious when it comes to getting first impression of the viewers. Whole theme is responsive and well suited for those trying to make a food recipe blog. The three column layout may help to add many internal links making your internal posts in the website crawlable. The theme options are minimal and you will get full control on two sidebars using widgets. The full width image shown on the homepage is your featured image of latest post. 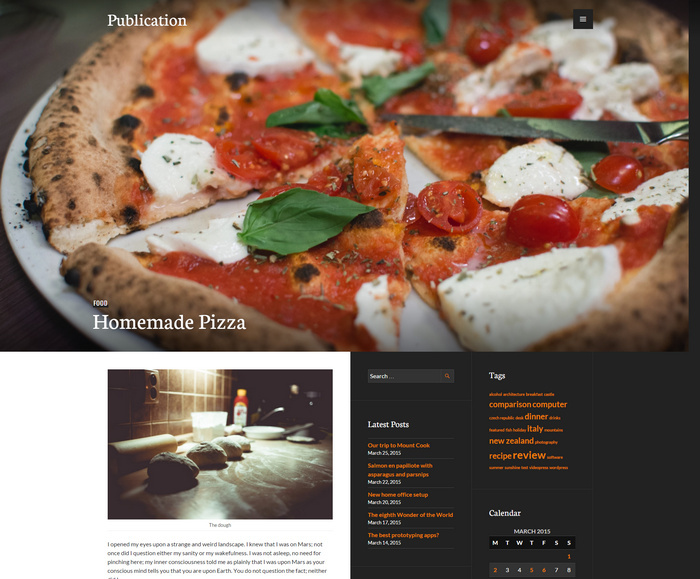 This theme will be effective for food bloggers who want simplicity in functions and looks. 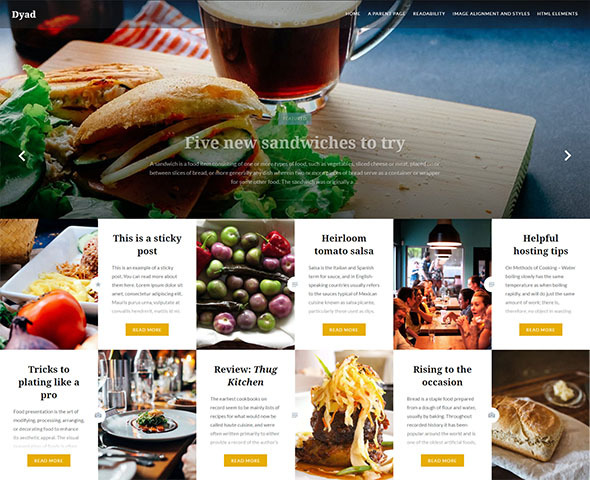 Auberge is a retina ready and responsive wordpress theme available for free and it includes support for jetpack plugin which will let you create food recipes. 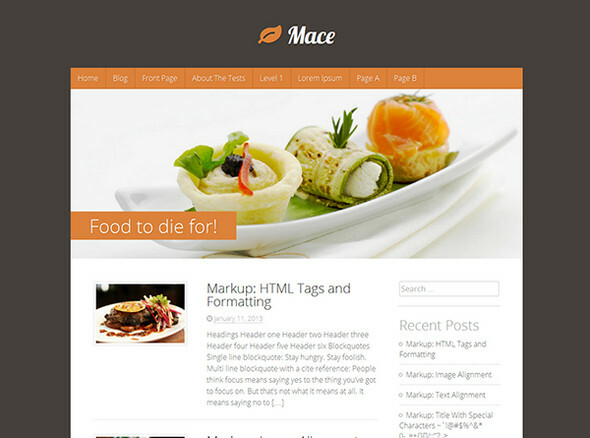 Mace is a responsive blog based theme for cafe, restaurant and food bloggers. A nice combination of orange and brown colors will bring warmth to your food blog. 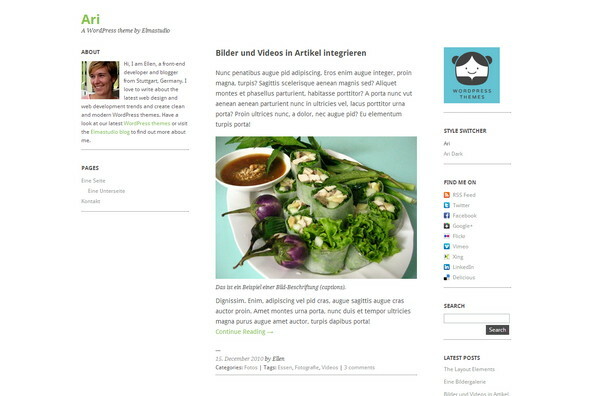 A beautiful theme in classic blog style will let food bloggers display their favorite food recipes in style. Restaurante is a lightweight responsive bootstrap theme for restaurants, barbecues, grill houses, Italian restaurants, fast food, pizzerias and more. Features include option to upload your own favicon, customizable background and header. 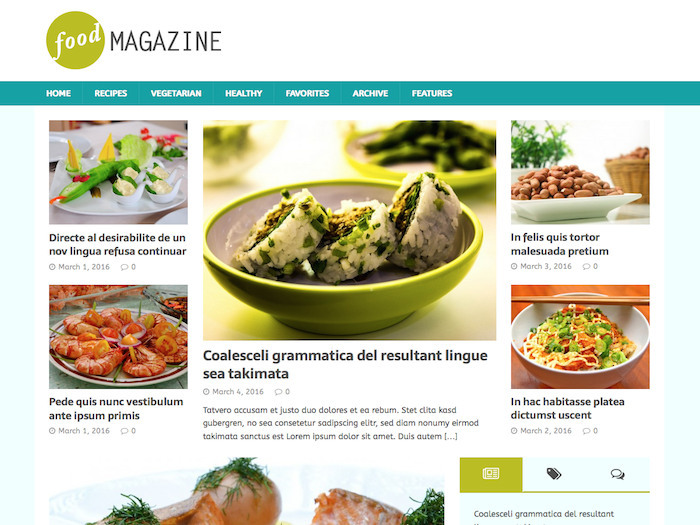 Foodmag WordPress template for magazine, journal, or news channel is now released. It comes up with simple white, impressive image and beautiful visual effects. Reader would fall in love with the layout and the color. All the information will be smartly and neatly organized. Slideshow with beautiful visual effects and amazing images impress visitors about what you really do. Drop-down menu allows you to sort your posts to so many categories. Recent posts, and feature are all there on the homepage that help visitors easy to get straight to the most wanted news. With tab effects, popular, latest post and comments become more clean-lembed. 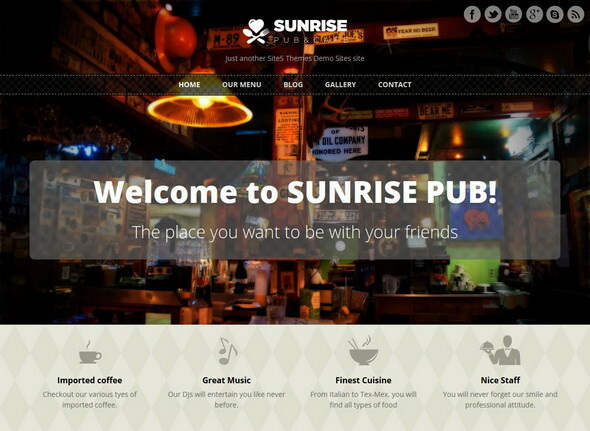 A Free Responsive WordPress Theme for Pubs and Restaurants. 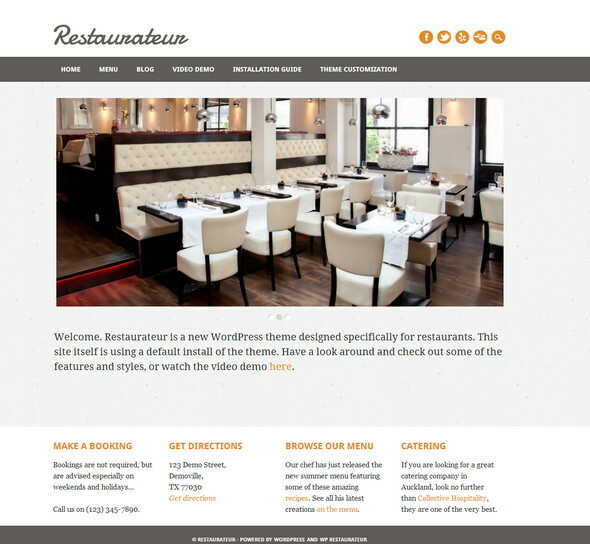 Restaurateur is a dedicated WordPress restaurant theme. The theme features custom post types for menu items so you can easily add a beautiful tabbed menu with your own categories and dishes (with prices), which will be featured in the home page slider. You can also customize the background imagery and welcome message on the home page, contact details, map location and social media icons. It’s a flexible and responsive theme which will look great on any device. 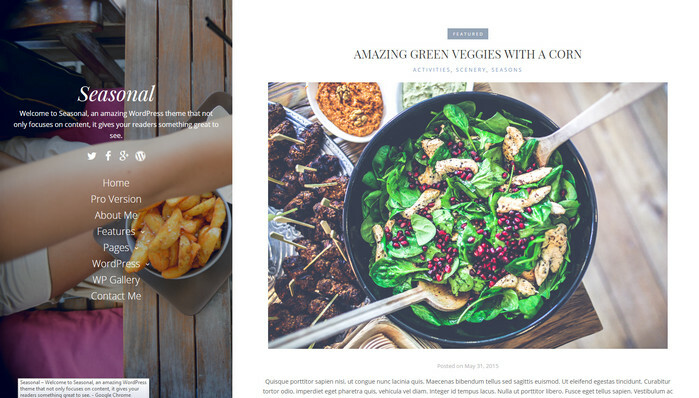 Simple, responsive, pin-style theme for your personal blog or a food recipe blog. Ari is a minimal, elegant little blog theme with a fixed left sidebar and a right sidebar. 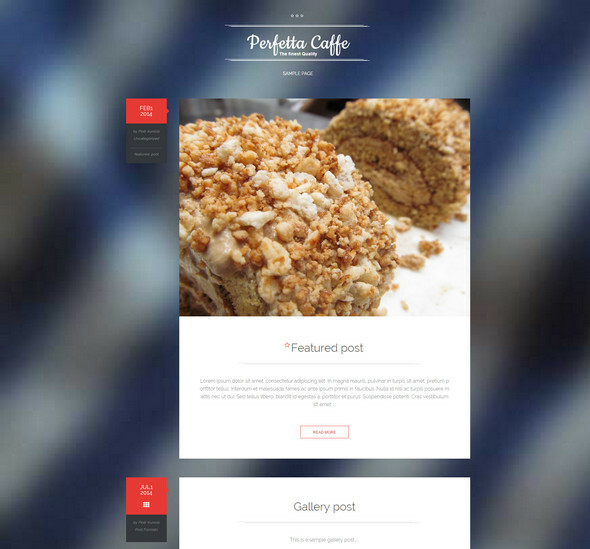 This simple and elegant WordPress template is great solution for food blog. 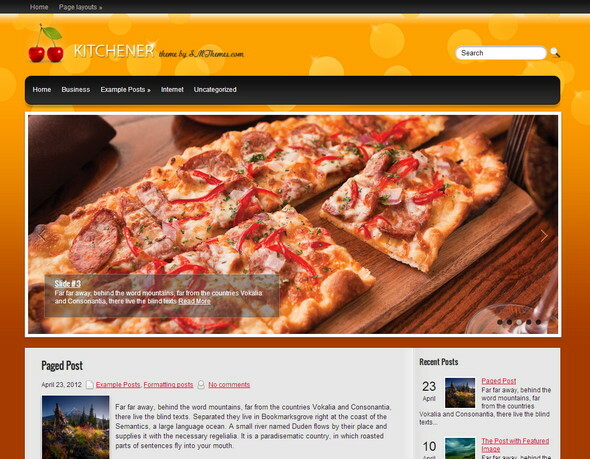 Kitchener, like our other themes, comes with Shared Bar that will help your visitors to share your blog with their friends. 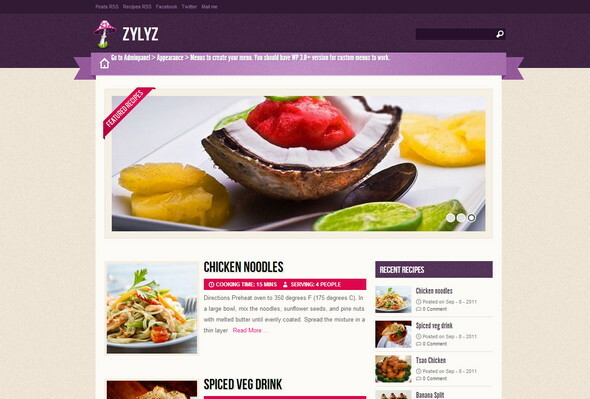 Zylyz is a special fab series wordpress theme from web2feel.com. This is a recipe/Food blog theme. 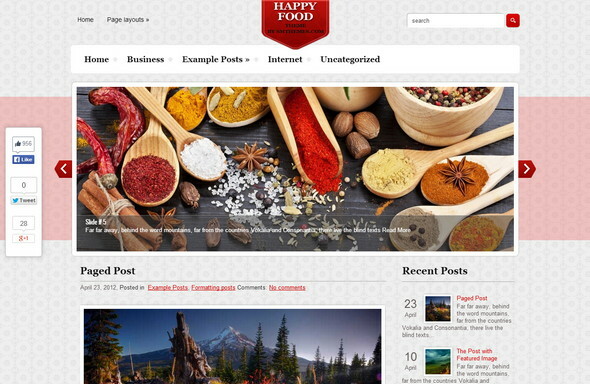 Theme is packed with features that can power a recipe site on wordpress. This uses features like custom post type, custom taxonomies, custom metabox etc. The recipe posts are specially crafted to display the contents in a user friendly way. The theme also supports regular blog feature. 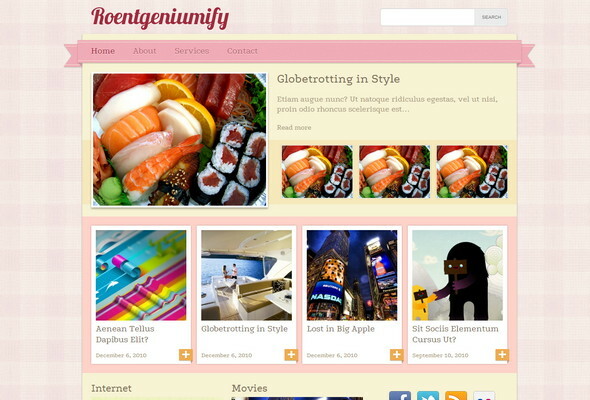 Roentgeniumify WordPress theme is easy to customize via the backend admin panel. This freemium WordPress theme is packed with an upgraded framework and a robust admin options panel to accommodate the General Settings, Page Tracker, Slideshow Settings, Social Networking, Page Navigation and Advertisements Settings. 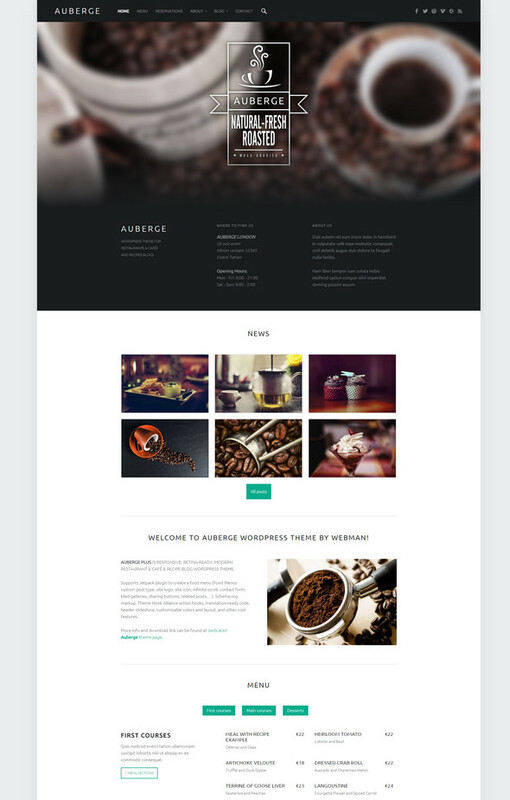 Tavern is a professional WordPress theme for creating restaurant, cafe, bar, bistro, bakery or any other food related website. The theme package includes all the essential premium plugins. With a beautiful design and powerful customization options, this theme comes with all the necessary features. What’s more, you can make use of the advanced image and video player, smooth parallax scrolling and multiple layouts to build attractive-looking pages for your site. The fully responsive theme also supports WooCommerce and have passed Google’s mobile friendly test. Another excellent roundup. You have come up with all the free best restaurant themes. I have used the Restaurant and Cafe theme. This theme is awesome and has some premium looking feature for design a stunning website. The reservation system of this theme i like most. Thank you for sharing these free themes. Have a great weekend.